If you live in Missouri, you know that having a beautiful lawn doesn’t just happen; it is the result of a temporary triumph over weeds. Weeds are particularly hardy, invasive and difficult to eradicate once allowed to take hold. They can be either annual (lifecycle completes in one year) or perennial (lifecycle continues over a course of years). Recognizing weeds from other species of plants can be difficult. 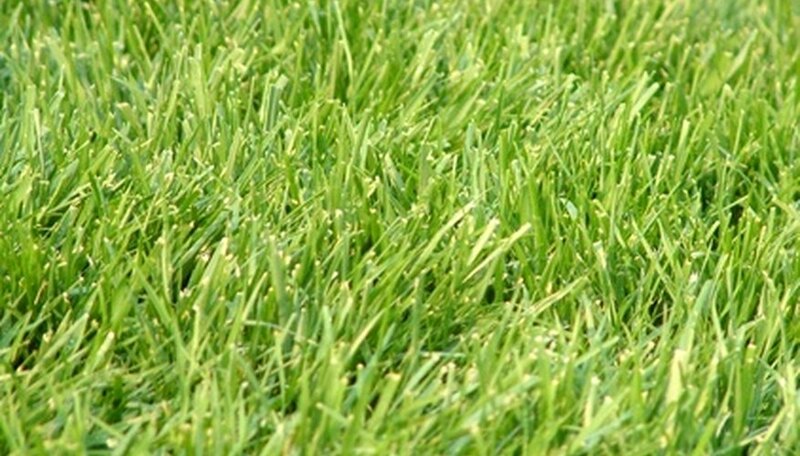 Identifying your state’s most common lawn weeds is your first step towards eliminating them. Chickweed grows in two forms: chickweed common (Stellaria Media) and chickweed mouseear (Cerastium fontanum ssp. vulgare). Chickweed common is an annual weed, but under certain weather conditions it can become a perennial, according to the University of Missouri Extension. Chickweed mouseear is a perennial that survives even through the winter months, creating a mat of weeds. Both forms of chickweed have leaves that are elliptical in shape and alternate on the stem. Chickweed has five white flowers per stem that can occur in clusters or alone. The flowers are deeply split, giving the illusion of ten petals instead of five. Chickweed mouseear flowers are smaller and more oval than that of chickweed common. Another difference is that chickweed common leaves are mostly hairless and chickweed mouseear is covered in tiny hairs. There are two species of crabgrass in Missouri: large crabgrass (Digitaria sanguinalis) and smooth crabgrass (Digitaria ischaemum). Crabgrass is a summer annual that spreads in a prostrate manner, creating a mat. Large crabgrass is densely hairy and roots at the stem node, unlike smooth crabgrass which is mostly hairless and does not root at the stem node. Both forms have seed heads that contain up to six branches or spikes at the head of the stem. Leaf blades can be 2 to 6 inches long and may become dark maroon as the plant ages. Dandelion (Taraxacum officinale) is a perennial weed that is easily identified by its puff-ball yellow flower head on a hollow leafless stem. The flower head can be up to 2 inches in diameter and is bright yellow in color. This common pervasive weed is widespread not only in Missouri, but across the United States. 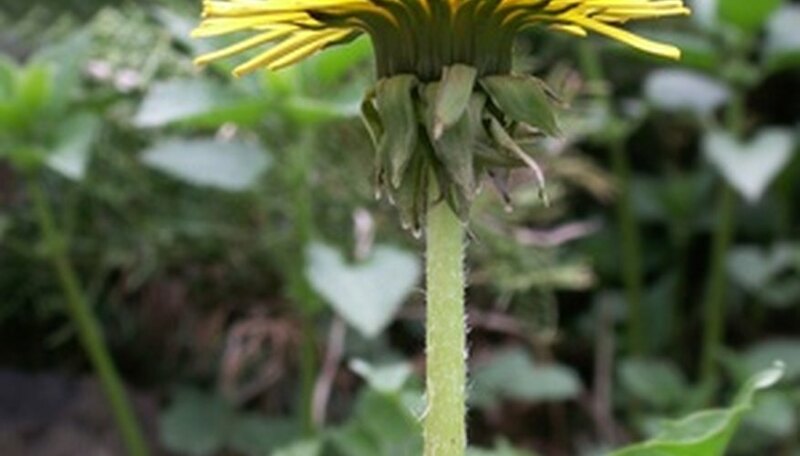 While in the first year of growth (during the rosette stage), the dandelion can be confused with chicory, according to the University of Missouri Weed Science Program. Once flowered, chicory has blue flowers on a leaved stem. Henbit (Lamium amplexicaule) is a winter annual with heart-shaped hairy leaves and green or purple stems. The flowers on the henbit are pink or purple in color and emerge from a tube. The henbit is often confused with purple deadnettle. The differentiation between the two is based on leaf shape and the color of the flower. The leaf of the purple deadnettle is triangular as opposed to the heart shape of the henbit. Purple deadnettle will bloom as a bright red or purple flower, unlike the characteristic pink to purple color of the henbit. Nutsedge comes in two forms: Cyperus esculentus or yellow nutsedge and Cyperus rotundus or purple nutsedge. This weed is a perennial that can grow from rhizomes or tubers to 2 1/2 feet tall if allowed to reach its full height. The leaves are smooth shiny blade-like spikes that can be light or dark green. The flowers of nutsedge can be either yellow or purple.